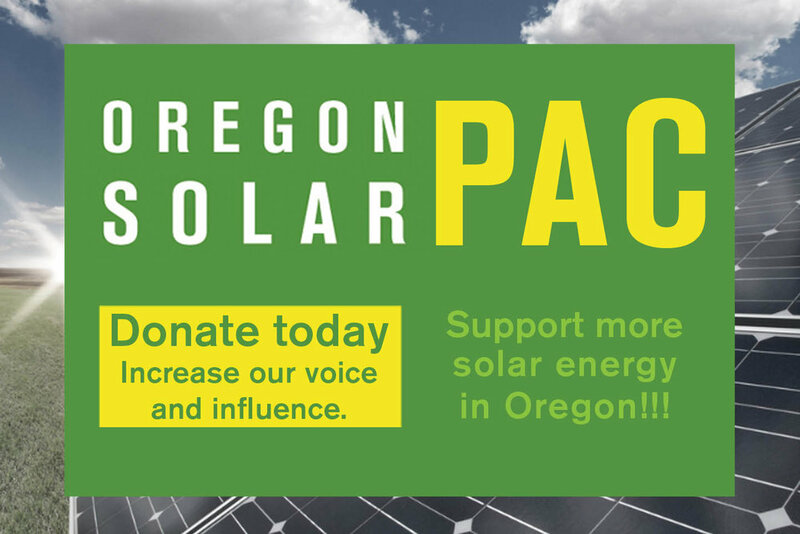 Between OSEIA’s priority bills moving and a successful lobby day, it's been a good month for solar in Oregon's capitol but the outcome is still uncertain. HB 2760, the property tax exemption for solar and other net-metered alternative energy devices. Thanks to the hard work of OSEIA staff and supporters, all three bills won unanimous, bipartisan committee support—there’ve been no no votes on solar yet this year. Second, OSEIA hosted a successful and productive Solar Lobby Day last Monday in the capitol. OSEIA is beyond grateful to the 83 members and supporters who attended. We met with 67 legislators or their staff, that’s 75% of the 90-person legislature. The event’s importance is difficult to overstate: with OSEIA’s bills out of their first committee, this was our first chance to carry the message of solar’s importance to a broader range of legislators. The day confirmed for us most legislators support solar, many support the RETC program, and some were willing to express their support for funding RETC to legislative leadership, which was our “ask” for the day. But with legislators grappling with $1.6 billion budget shortfall, many also acknowledged that we face an uphill challenge in winning funding for RETC this year—and some were even skeptical that it should be funded given other competing priorities. Third, OSEIA policy staff and ten board members met with Governor Brown to discuss OSEIA’s solar priorities and solar’s role in our future. To win, particularly on RETC, OSEIA needs to make the case to the legislature’s leadership and state budget writers that funding for solar incentives is indispensable. Lobby day was a key step in doing that by allowing solar industry professionals to talk to their own legislators as constituents, and, crucially, help us identify which of the 90 legislators will be true solar champions whom we can work with closely moving forward. Nevertheless, we’ve a lot of work ahead to secure OSEIA’s priorities, and given the budget context, the outcome, particularly on RETC, is far from certain. To help more moving forward, please join our legislative rapid response team. Thank you to everyone, again, for a great month and successful lobby day.